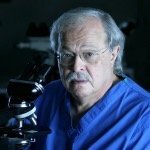 Dr. Michael Baden is the former Chief Medical Examiner of New York City and past Co-Director of the New York State Police Medico-Legal Investigations Unit. He received a B.S. Degree from the City College of New York and an M.D. Degree from New York University School of Medicine. He trained in internal medicine and pathology at Bellevue Hospital Medical Center where he was intern, resident and Chief Resident. He has been a medical examiner for forty-five years and has performed more than 20,000 autopsies. He has held professorial teaching appointments at Albert Einstein Medical School, Albany Medical College, New York University School of Medicine, New York Law School and John Jay College of Criminal Justice. He has been a consultant to the Federal Bureau of Investigation, Veteran’s Administration, Bureau of Alcohol, Tobacco and Firearm’s, Drug Enforcement Agency and the United States Department of Justice. He was Chairman of the Forensic Pathology Panel of the U.S. Congress Select Committee on Assassinations that re-investigated the deaths of President John F. Kennedy and Dr. Martin Luther King, Jr. in the 1970s. He was the forensic pathologist member of a team of U.S. forensic scientists asked by the Russian government to examine the newly found remains of Tsar Nicholas II, Alexandra and the Romanov family in Siberia in the 1990s. He has been an expert in multiple Iraq-related court martials in the United States and Camp Liberty, Baghdad. He has also been an expert in the investigations concerning Medgar Evers, John Belushi, Yankee Manager Billy Martin, Marlon Brando’s son Christian Brando, O.J. Simpson, Jayson Williams, Kobe Bryant, Robert Blake, and Las Vegas hotel owner Ted Binion. He has investigated deaths in Poland, Croatia, Serbia, Israel, the Gaza Strip and the West Bank, Monaco, Panama, England, Canada, Zimbabwe and other countries for human rights groups and private attorneys. He has taught homicide courses for police, judges, attorneys and physicians in most of the 50 states as well as in China, Taiwan, Kuwait, Australia, France, Italy, Ecuador, Puerto Rico, Columbia and other countries. He has been a member of the board of directors of a number of drug abuse and alcohol abuse treatment programs where he attempts to apply what he has learned from the dead at the autopsy table to the betterment of the living. Dr. Baden has also served as President of the Society of Medical Jurisprudence and Vice President of the American Academy of Forensic Science. He was the host of the HBO “Autopsy” series for thirteen years, which demonstrated how the various forensic sciences assist in solving crimes and was a consultant for the “Crossing Jordan” television series. He has been author or co-author of more than 80 professional articles and books on aspects of forensic medicine and two popular non-fiction books “Unnatural Death, Confessions of a Medical Examiner” and “Dead Reckoning, the New Science of Catching Killers.” He is also the author, with his wife, attorney Linda Kenney Baden, of two recent forensic thrillers, “Remains Silent” and “Skeleton Justice.” He is the Forensic Science Contributor for FOX News Channel and is a reviewer for the New England Journal of Medicine.